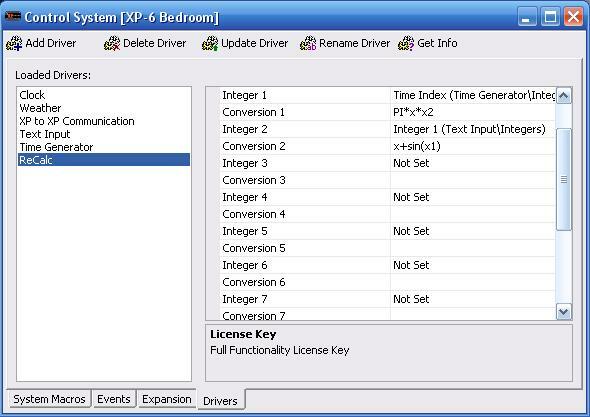 This driver allows you to calculate results from other driver's integer values. You can convert temperature to other units. You can re-range amplifier feedback from negative value ranges to positive values for image array indexing. This has 10 integer variables, 10 separate calculation expressions, and 10 result variables. There are also 10 "Zero Flag" variables that are true when a result is equal to zero.